Ah, the toasted sandwich. My one weakness (not counting mint imperials, chorizo, Stilton, real ale, Zooey Deschanel, 70s rock, white chocolate, milk chocolate, dark chocolate or hot chocolate). 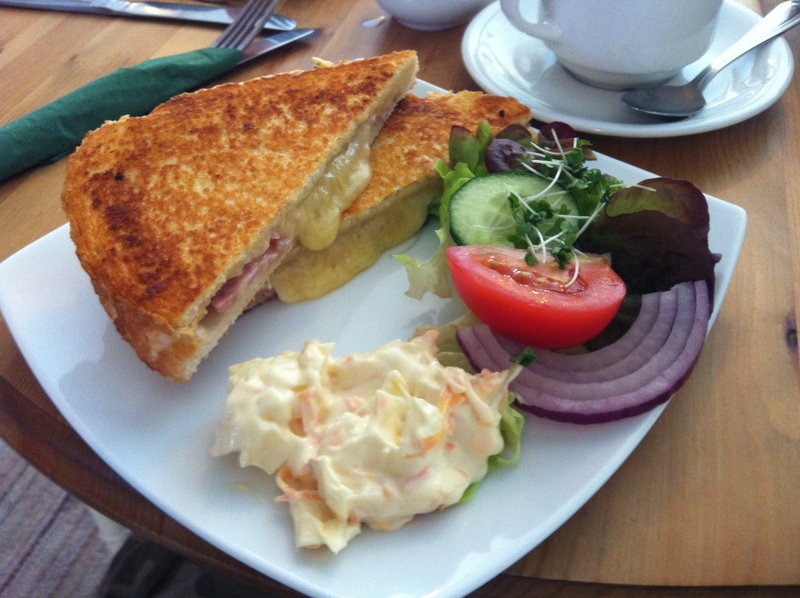 Not too long ago I shared with you my favourite toasted sandwich from Waterloo House Tearoom in Cranbrook, Kent, and also this amazing grilled cheese from Buffalo Niagara, and today I went back to the Waterloo House Tearoom, where once again I had the ham and cheese. The thing I love about this one in particular is that the ham is cut thick, and the cheese is mature. I can’t overemphasise how great it is to have melted cheese that actually tastes of something, rather than the bland stuff you get elsewhere. It tastes fantastic, and makes me really want to get my toasted sandwich maker out of storage! Any time, I enjoy your blog! Ooh, turkey and Gouda! Now that’s one I have to try!